The name Château Talbot is derived from the Commander in Chief of the English army, Connetable Talbot who was beaten by the French in 1453 at the Battle of Castillon. The Cordier family has owned the estate since 1900. 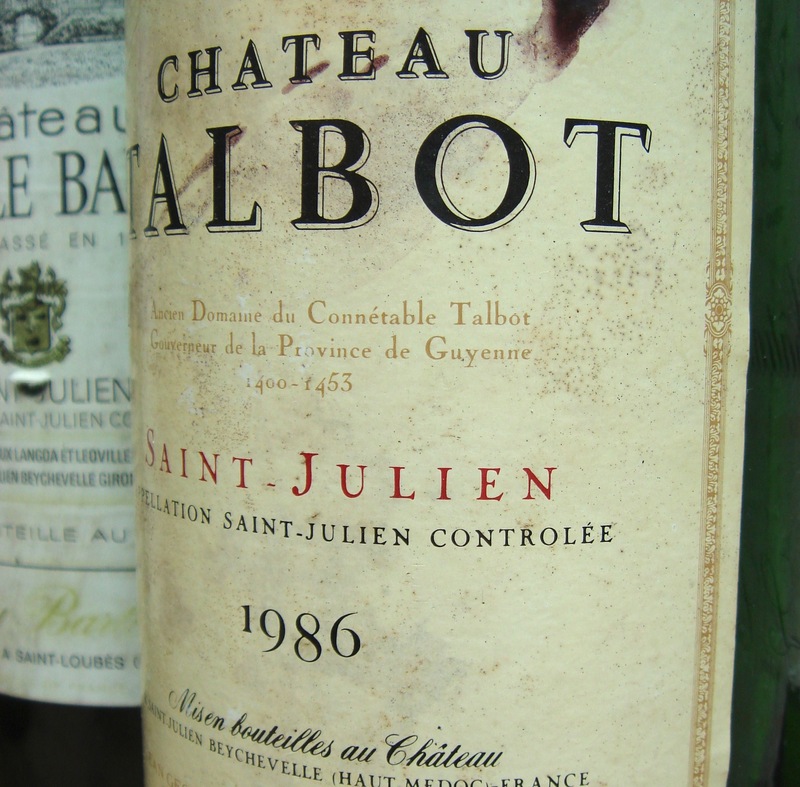 The best Talbots are fantastically generous and full flavoured wines that reach the giddy heights of the super seconds in years such as in 1982 and 1986. The 1949 from magnum drank a shade under fifty years old was a revelation, then still remarkably youthful and vibrant. Recently the 2009 was impressive but there is variation here. The 2008 is a disappointment and rather angular wines have been made in 2011 and 2012, admittedly two tricky vintages in which a number of properties didn’t succeed. Given this and given the heights to which Talbot can occasionally soar you’d have to say that the property could achieve both greater things and better consistency. The second wine Connetable de Talbot is well known and usually good value. There is also a white wine Caillou Blanc produced from a small five hectare patch. Vineyard/Terroir: 102 hectares on Médoc gravel planted with 67% Cabernet Sauvignon, 26% Merlot, 5% Petit Verdot and 2% Cabernet Franc. Winemaking/Elévage: Traditional with 50% new oak for the grand vin. 2011 Mid depth; some spice, little ink and resin; blackcurrants and some cream; chewy palate; little compact in the middle but reasonable length. Drink 2017-2026. 87 UGC Oct ’13 [Earlier note] Mid depth, concentrated at the core; cassis, some blackcurrant, strong notes; some depth; nice entry, density some earth and blackcurrants but a little dry in the mid-palate. Chewy finish. Not a bad effort but not the best. Tasted twice at UGC. 87-89. 2009 Mid depth; a little dumb, some blackcurrants, chalk; grippy palate [surprisingly] with freshness; plenty of material [more blackcurrant aromas on the palate] but less finesse. Feels chewier with more acidity and sap. Lacks the intensity of the best though. Drink 2019-2030 89+ MW Institute Nov ’13 [Earlier note] Mid red; blackcurrants, cassis and jam alongside undergrowth and tobacco; ripe style; not that complex; nice palate; quite sinewy at present; some tobacco and earth; good grip and length. 91+/100 UGC Oct ’11 [Earlier] Very ripe fruit; round; some leaf less super rich than stable mate Gruaud Larose but a very well balanced wine; feels round; some cassis and spice here on the nose – attractive. Palate very soft, mid weight and nicely done; some cassis and spice and briary notes to the palate; tannic edge on the finish but lots of fruit here and tannins feel very ripe and supple. Excellent 90-92+/100 Tasted 30th March & 1st April ’10 UGC Primeur tasting. 2008 Quite dark at core; some strawberry notes but otherwise feels a bit neutral; some cream; quite grippy palate and feels a little hollow. Lacks depth of fruit and chew. Not austere, just hollow. 85 MW Institute Nov ’12 [Earlier] Mid red; earthy looking; quite clean stalky blackcurrant nose, some earth but clean; palate more open, some herbs and slight hole in the palate; seems to lack a bit of oomph. Blackcurrants on the finish. [2nd] more open, some strawberry and some oak resin, quite dense. Inconsistent notes here 86-88?/100. UGG Oct ’10. 2006 Good colour, mid red; some leaf, spice and tobacco [but tall order coming after the Lafite! ]; some savour here with extract beneath; not unattractive; mid weight palate, some spicy, weedy undergrowth notes with blackcurrants; good chewy extract and tannin, but not disjointed. Not a bad effort. Drink now – 2022. 88-90/100 MW Institute Nov ’10.